A lot is going on in my head right now. Regret over decisions made, decisions I’m (wrongly?) chalking up to bipolar moods, calling it a sick brain that has led me to where I am today. All of this was refuted, well, by my therapist today. Cultivating curiosity in my past because of prompts from a book has led me to judgment rather than increased curiosity or empathy, or even self-compassion. It’s as though all I can see is young me making decisions that may have been influenced by bipolar or just by youth. Can’t tell. I see a little bit older me trying out discernment but now questioning the decisions I made based on careful deliberations and consultation, and instead see only bipolar. I see current me managing bipolar as my whole life. Not a lot of optimism here, folks. I think more slowly and make fewer connections than I used to. I don’t think my intuition is working anymore, since diagnosis. I can’t trust what my brain is doing, throwing out mood states and lies one day, and then out of nowhere I get a month of stability for the first time EVER, only to have it ripped away by med changes again. I’m told that having trouble thinking can partly be a side effect of meds. OK. It can partly be aging. Not that I’m old, just entering middle age actually. I guess I’m ok with that? I haven’t heard that as a “symptom” of aging at this stage. I definitely have had trouble thinking ever since a hysterectomy led to menopause brain, but nothing as drastic as after falling precipitously from the manic episode into a suicidal depression that led to a bipolar diagnosis. Nothing leads to saying I have a sick brain. But isn’t that what bipolar disorder is? Neurons are firing when they shouldn’t or not firing when they should, both of which affect mood states and functioning – and thinking. Medically I have a sick brain, and I’ve had one for 20+ years. My mood states have fluctuated regularly. How can I trust that _I_ made the decisions all through my life, and not bipolar mood state me? And if it was bipolar me, do I hold myself accountable for those decisions, or discount them as bipolar brain? None of this was adequately answered for me today. My therapist, I think, tried to get me to understand that I am not a bipolar brain, though we joked at the beginning that you can think you’re in control and then – boom! – your brain says it is. So which is it? Is it an existential _I_ making the decisions, or a medically sick brain decidedly influencing the decisions? We didn’t get as far as answering that question. He did encourage me to be curious about the good that came out of the decisions and not just question and judge the decisions. I still can’t be sure it wasn’t a sick brain that made them. Well, I ended up in the hospital again after not making to my next dr appointment. And then 4 days after that discharge I ended up going in for suicidal and homicidal thoughts – something I’ve never experienced before. I had gone to NAMI’s Living Room where you are screened by a counselor, then talk with a peer specialist, then get screened again by a counselor. All of which ended up with an ambulance ride and then waiting for a transfer from the ER to my psych hospital. At least that hospitalization was mercifully short – 3 days. There was a treatment team meeting about me and to be honest, I don’t think anything important came out of it. They think I’m too comfortable at the hospital and they want to make things uncomfortable to help my treatment. And they want no big med changes. And pointed out that the longer I am at the hospital, the more likely I am to get sicker. It’s not like I WANT to be at the hospital. Just that it’s a safe place when I’m not feeling safe. In addition, while I was in my first June hospitalization I had extensive psych testing done, which came back yesterday. I talked with my psychiatrist about it yesterday and we agreed it was bunk. We know what we’re dealing with since we’ve been working with it for 5 years together now. I’m still re-entering the real world from the long hospitalization, as well as the shorter ones. I’ve got people I’m checking in with, tasks to do each day. I’m taking it slow and giving myself lots of credit. I’m actually doing pretty well with this plan. Slowly I’ll add back in the gym and starting in my plan to talk about mental health in churches. But no rushing. Got to get back in the swing of things, gently. 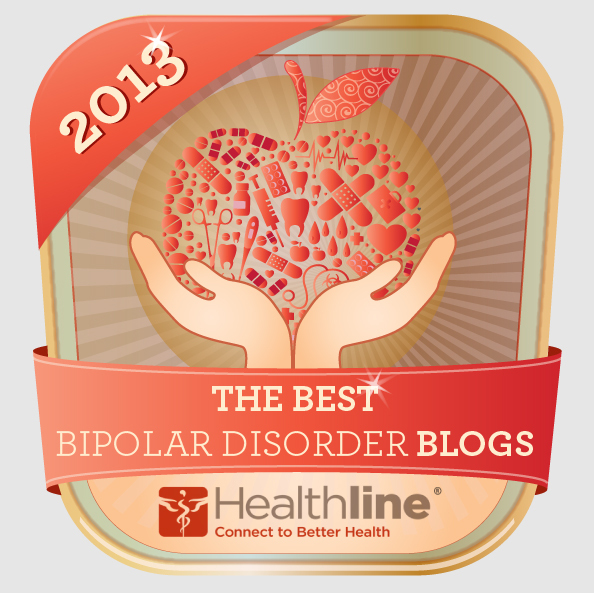 Bipolar Disorder is a biological brain disease that often has environmental triggers. I ended up in the hospital for suicidal plans and intent again this week, though only for a few days (yay! a short one!). My psychiatrist thinks the anxiety I was holding about my mom’s breast cancer surgery a few weeks ago had a chance to come out as well as the fear, and that destabilized my mood. Sounds about right to me. Even though I was doing pretty well, pretty stable, two weeks ago I started feeling suicidal again due to the environmental trigger. I am grateful for a short time in the hospital, yet worry that I will end up in again as has often happened after short hospitalizations. I have to say that having an environmental trigger took the stigma and shame away from a hospitalization for me. Usually I feel embarrassed to be back in the hospital, even though the staff is generous and welcoming. But this felt like a tune-up instead of a personal failure. But I guess that’s a whole other post, that shame of being in the hospital for the twenty-somethingth time. The question arises, since I still live with symptoms, when to tell a date that I’m bipolar. It’s kind of a big part of my life since I don’t work because of it. It’s hard to answer the “What do you do?” question that comes up in online chatting, and even in your profile. I say I’m a professional volunteer and mental health advocate. When I was volunteering at a few places I could still say brain disorder and I could call off if I wasn’t feeling well. I could tell them I’m on disability. Now, I don’t necessarily want to tell dates that I’m on disability or have bipolar, even though they structure my days. It’s a lot to process and a lot to take on as a potential partner. I like to think I’m a lot more than bipolar and being on disability and should have more to talk about. So the question remains, when do I tell people? 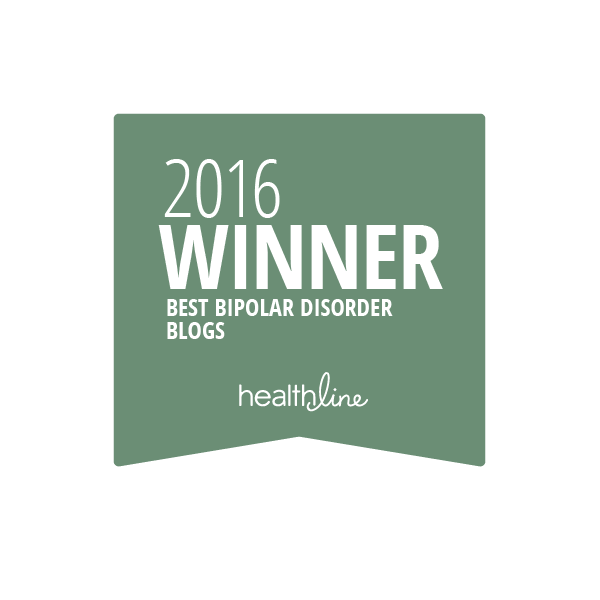 It is still a big part of who I am, and the main reason I’m a mental health blogger and advocate. All the good literature and blogs say you tell when you feel comfortable telling. That’s not the most helpful advice.